Thank you for visiting the Vinyl Dialogues Volume II pre-publication promotion page. 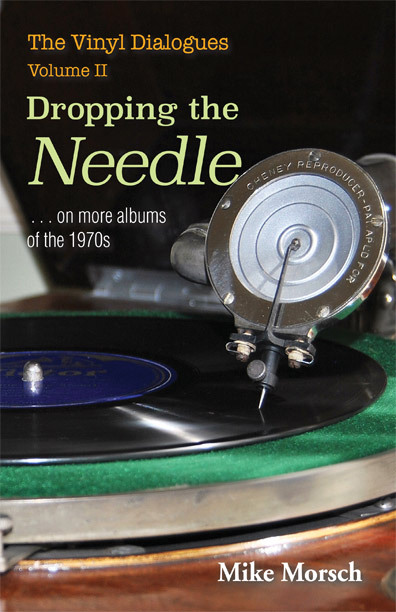 By entering your name and email address below, you will be able to download a chapter from the upcoming book The Vinyl Dialogues Volume II: Dropping the Needle…on more albums of the 1970s. This chapter tells several stories behind the 1978 album “Hearts of Stone” by Southside Johnny & The Asbury Jukes. Additionally, you will receive an email announcement when The Vinyl Dialogues Volume II has been released, as well as announcements about Vinyl Dialogues articles written by the author Michael Morsch. I’m looking forward to this. I worked at Secret Sound Studio when Southside and The Jukes cut “Hearts of Stone”. I was there for it all. A very special experience to say the least. It is still with me, especially when I hear a cut on the radio.